Most people have been or know someone affected by Lyme Disease. The ticks that transmit this disease are found in all of the US, Canada, Mexico, European and most Asian countries. When they bite, they can inject the bacteria that cause Lyme disease and other diseases. Lyme disease begins after a tick bite. This is sometimes followed by a bulls-eye rash, becoming exhausted in the middle of the day – totally incapable of continuing without collapsing in bed, flu-like symptoms that may or may not go away, or suddenly developing arthritis. Since any of these symptoms could be something else, diagnosing LD is difficult. 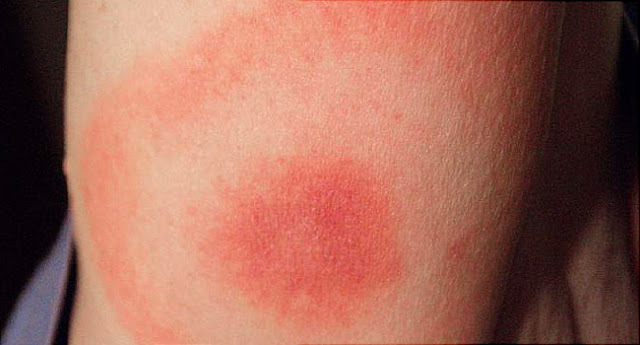 The bulls-eye rash is diagnostic for Lyme disease and treatment often begins with no further testing, but almost 50% of people affected have no or atypical rashes. When Lyme disease is suspected, doctors send blood samples for testing. This test looks for antibodies in response to the bacterium. If the test is positive, the standard treatment is two weeks of antibiotics. If it provides a false negative diagnosis (which it does about 40% of the time), the patient may be sent away and not properly treated for some time and require extensive treatments to cure the disease. Which antibiotics, the duration and mode of administration, and the bacterium's response to treatment vary widely. Borrelia burgdorferi, is a spirochete transmitted by the black-legged tick, Ixodes scapularis (previously called I. dammini). Once infected, spirochetes travel through the blood stream and affect many organs, often burrowing into the cells, and wreaking havoc wherever they settle: They trigger arthritis; cause heart arrhythmias, (rarely) heart attack, weaken cardiac muscle; alter sensory input, motor control, disrupt thought processes, may cause paralysis of facial muscles (Bell's palsy) and other muscle groups; trigger muscle pain (myalgia), weakness, and sometimes tetany; produce rashes – often with a bullseye appearance; and can cross the placenta, causing fetal abnormalities. The tick's role in transmitting Lyme Disease was noted shortly after the identification and naming of Lyme Disease in 1977. Ticks usually hatch without internal parasites, obtaining them over a period of several days as they feed from previously infected hosts. About 50% of black-legged ticks carry B. burgdorferi. Almost 20% carry the agent for Babesiosis or Ehrlichiosis, and half of this second group carries two of the three agents. As treatments are different, doctors often test for all three agents when a patient presents an infection after a tick bite. Tick development includes four stages: egg, larva, nymph, and adult. As sit and wait predators, they feed only once during each stage after the egg. They climb vegetation and hold on until something knocks them off or they are carried away by an animal. Larvae, the size of the dot in the letter “i,” usually hatch in the spring, wait low in the vegetation, and feed on small mammals or birds. Larvae molt about three months after feeding, and the nymphs climb about a foot off the ground to feed on medium or large mammals and birds that walk by. At the end of the summer, the nymph molts to the adult stage. Most feeding adult ticks are females. Males attempt to mate shortly after molting, may not feed again, and die soon after mating. A female must feed so her eggs can develop, and can live up to a year without feeding. She only becomes sexually receptive after engorging while feeding for at least a day. After mating, she swells to ten times her already swollen size, all the time transferring bacteria to the host. See the article “Lyme Disease: Warding Off The Disease” to find out how to reduce your chances of obtaining Lyme disease.